Capacity 490 cc / 29.9 cub in. Induction Single Amal carburetor 15/16"
If a bike’s impact on the industry and longevity in production are any measure of success, there are few designs that come close to the 500cc Triumph Speed Twin, the first commercially successful parallel-twin cylinder motorcycle. Almost every major motorcycle manufacturer of its time copied or emulated it, and it remained in production for 28 years. 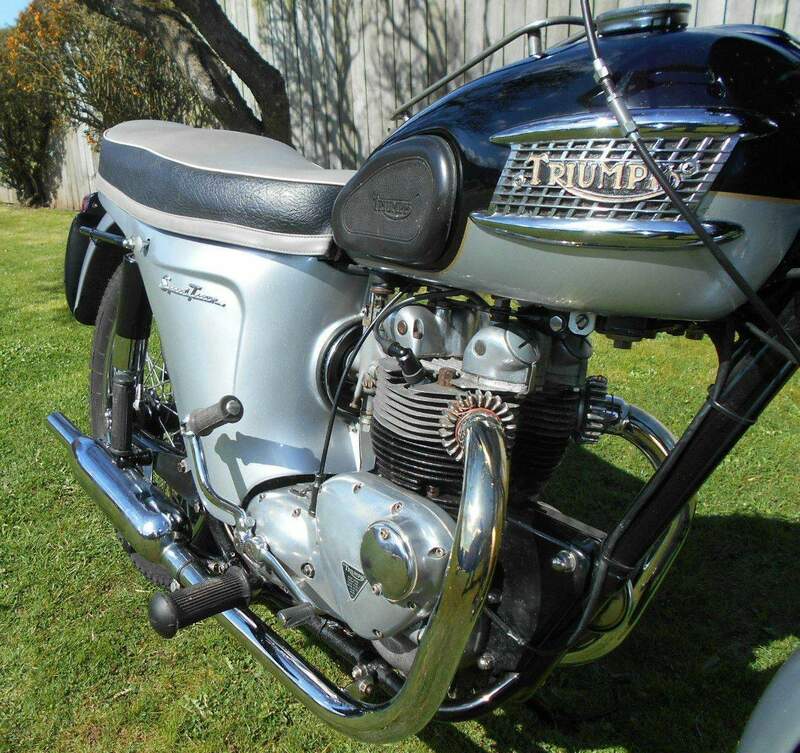 The first Triumph twin with the transmission in unit with the engine was the 3TA (A for unit construction) “Twenty-One” of 1957 — the name celebrating 21 years of the new Triumph company, and the swept volume of the 350cc engine in cubic inches. With the Triumph Twenty-One came revolutionary styling — the “bathtub” rear enclosure with a deeply valanced front fender, a styling statement adopted next by the Triumph Speed Twin and then the Thunderbird. Love it or hate it (U.S. buyers mostly hated it), the bathtub — inspired by the scooter craze then sweeping Europe — was meant to represent the newest in sleek lines and cleanliness. Unfortunately, the riders attracted to scooters weren’t the same people buying large motorcycles, and the fate of the majority of bathtub Triumphs was to be stripped of the bodywork and fitted with aftermarket fenders. The removed bodywork often went for scrap or rusted away in back yards. This was particularly true in the U.S., where Triumph was marketed as a performance brand; auntie’s voluminous skirts just didn’t look right on a sport bike. By now, the 500cc Speed Twin, which got unit construction beginning in 1959, was just another model in the Triumph twin range, which included the 350cc 3TA Twenty-One, 500cc Tiger 100 sport, 650cc 6T Thunderbird, TR6A and TR6B “Trophybirds” in street and offroad versions, and — new for 1959 — the T120 Bonneville with twin carburetors. Triumph was becoming more attuned to its biggest market — the U.S. — and its focus moved to the sporting 650cc bikes, especially the Bonneville. In 1963, the Speed Twin lost its bathtub, getting a smaller “bikini” enclosure before reverting to conventional fenders the following year. 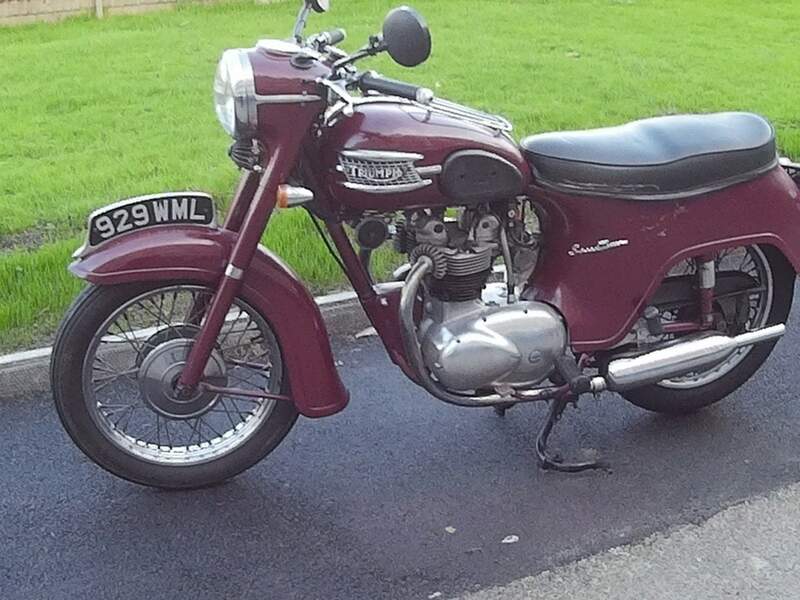 But when Triumph’s 1967 range was announced in July 1966, the Speed Twin was missing completely, as was the 650 Thunderbird and 350 Twenty-One models. With their demise went the famous headlight nacelle, a Triumph feature since 1948. Instead, a new 500, the Tiger 100, replaced the Speed Twin — though mechanically it was almost identical to its predecessor. A gentle swing on the kickstarter brings the 500 instantly to life, and I quickly discover Rotz’s passion for perfection extends to every aspect of the Speed Twin’s operation as well as appearance. All the controls work smoothly, and the gears shift with a precise click. The engine is unusually quiet for a Triumph twin; there are no oil leaks and no exposed wiring. The suspension is taut, steering precise and brakes effective. Progress is reasonably brisk, the Speed Twin’s 27hp propelling a mere 341 pounds. Kevin says he thinks of the Triumph Speed Twin as a “gentleman’s motorcycle,” and I’d have to agree. With a cruising speed of 50-60mph, the Speed Twin is less comfortable on the freeway; but for a sunny afternoon cruise around the quiet, winding back roads of Vancouver Island, it’s close to perfect!